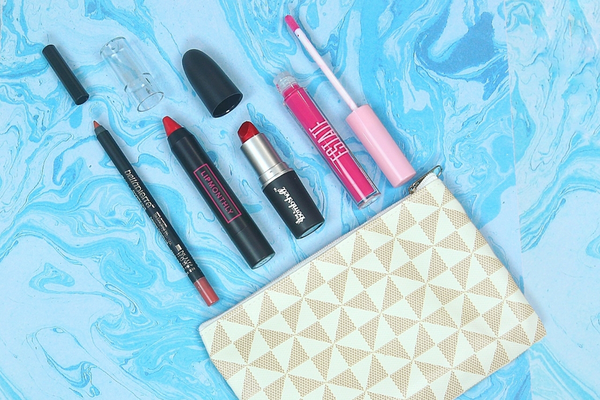 It's a new year and that means one thing: time to refresh and recharge! The new year signals a time of setting goals, focusing on yourself, and making sure you're surrounded the the people and things you love! If you're wondering how to change it up at home, read on! See our top picks from cooking boxes to DIY cocktail boxes and making your home feel cozy with some greenery. Warm tea, pampering tools and coveted home goods? Yes please! Or splurge on a new housewarming gift to treat yourself! We've got just what you need to refresh up your living space for the new year! What You’ll Get: Choose intentionally when it comes to your home decor items with the help of Earthlove, a quarterly subscription for conscious consumers. This box will help you cultivate a more sustainable, earth-friendly lifestyle by sending 6-8 full-sized eco-friendly products, guaranteed to be all-natural, organic, zero-waste and cruelty-free. What You’ll Get: Creative space hacks make it possible to fit a home bar within any living environment. With the American Cocktail Club, friends and family will love your sophisticated entertaining style and world-class cocktails. If you follow the recipes carefully, the ingredients will give you at least 4 delicious cocktails. 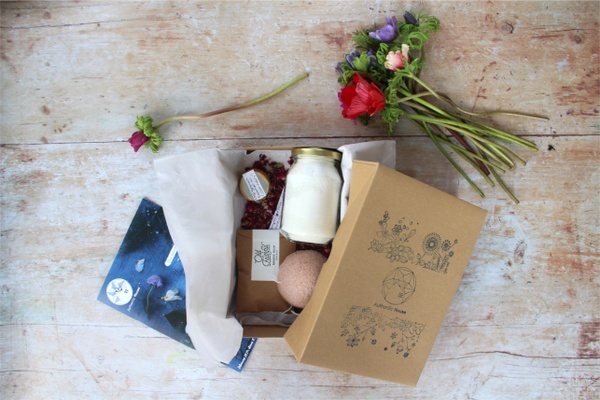 What You’ll Get: Fire and Nice is a box of handcrafted and luxurious goodies designed to help you prioritize wellness. Each month sends self-care products such as soaps, bath bombs, wax melts, body care products and more to create a cozy oasis of relaxation during a hectic holiday season. What You’ll Get: Blossoming flowers and plants with Spring are still a couple months away, but that doesn't mean you can't add a little plant life indoors! House Plant Shop delivers unique new house plants every month centered around a different theme. Each box also includes a random surprise like fertilizer, planters, or plant stands. What You’ll Get: There’s just something about a vinyl record player that adds a boost of "cool" to any living space. Vinyl Moon is an independently curated vinyl record subscription that features custom designed record jackets by visual artists. Each box includes a mix of 10 songs from up-and-coming artists pressed to high-quality vinyl, it's like receiving a custom mixed tape each month! What You’ll Get: If switching to a zero-waste lifestyle is at the top of your list, greenUP Box can help! The greenUp Box wants to help empower you to make the change by making it easy! Each month's box is filled with 4-6 thoughtfully crafted, eco-friendly, and reusable items to reduce plastic use in one area of your life. The first twelve boxes are intentionally themed around twelve major areas of your life so you can gradually make the switch. What You’ll Get: If you're looking to explore the country without leaving your home, then Mitten Crate is a great subscription option. Each box features 5-6 local artisan food items straight from Michigan! Subscribers can expect treats like hot sauce, toffee, mustard, chocolate, and soda pop! Plus, for every crate sold they donate 3 meals to those in need! What You’ll Get: Continue on a culinary tour of the country with a pit stock in Texas! My Texas Market delivers the best of a Texas farmer's market in each month's box. Subscribers can expect 4-6 handcrafted goodies like all-natural skincare, candles, fiery hot sauce, and locally made jams! 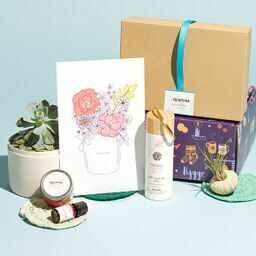 What You’ll Get: Discover a fun box that celebrates the art of living with the Delightful Life Box. This fun box is for all lovers of shabby chic and farmhouse style with a bit of romantic florals thrown in too! Each box includes either 3-6 or 6-8 items that may include home decor, jewelry, candles, paper goods and more. What You’ll Get: Tea, Simplicity Teas believes life is too short to drink bad tea, and that's why they pack their tea boxes with 3-4 varieties of organic teas (loose-leaf) in unique flavor blends and profiles. Plus, subscribers can expect a reusable tea infuser with their first box! What You’ll Get: Crystals are known for their healing energy and powers, a perfect way to recharge at the beginning of the year! Enchanted Crystals offers two subscription options: the Crystal of the Month box for a new featured crystal or mineral each month ($14.50) or the Crystal Variety Box for 4-6 crystals and minerals, plus a hand-crafted cloth grid ($39). Additionally, all boxes are made with eco-friendly and recyclable materials! What You’ll Get: Are you looking to switch over to a toxin-free and clean home environment? 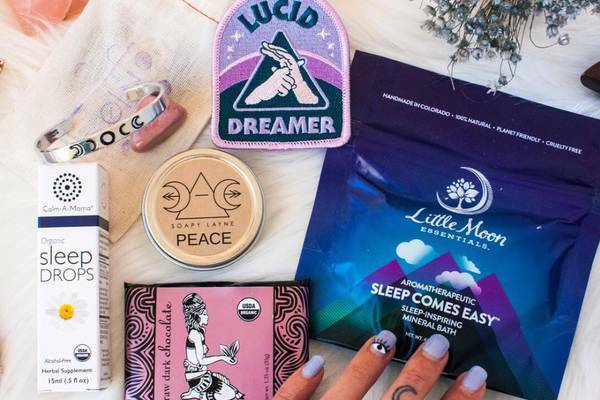 Make that difficult task a whole lot easier with a fantastic subscription box like The Home Detox Box. Containing 3-6 full-sized items including personal care items, cleaners and candles, you’ll deliver toxin-free, cruelty-free essentials that will help create a much-needed natural environment. What You’ll Get: Transform your home space with products aimed at helping you slow down, savor moments and connect with others. The My Hygge Joy box embodies the Danish lifestyle of coziness, making your home surroundings more comfortable. Each box contains 4-6 items including artisan bath and body items, handcrafted home decor and more. What You’ll Get: Andiamo is an Italian-themed box filled with artisan goodies. Each box is curated around a new theme and includes "something fun, something yummy, and something hand-crafted". Past themes have included "Cinque Terre" with pasta and pasta making tools, and "In the Kitchen" with delicious Italian coffee! What You’ll Get: Bring the authentic and festive spirit of Japan into your home with Kizuna Box, which is a monthly must-have subscription box. Japanese culture celebrates the passing of time so each month the box has a distinct vibe that gives you a glimpse into what it would be like in Japan during that time. Choose from either the lifestyle box, snack box or healthy box and get ready to explore all Japan has to offer!